This Bathrobe is made from a Pure Cotton Toweling for a comfortable fit. Our Collection at Boxers and Briefs contain only the highest quality Tommy Hilfiger Womens Loungewear. 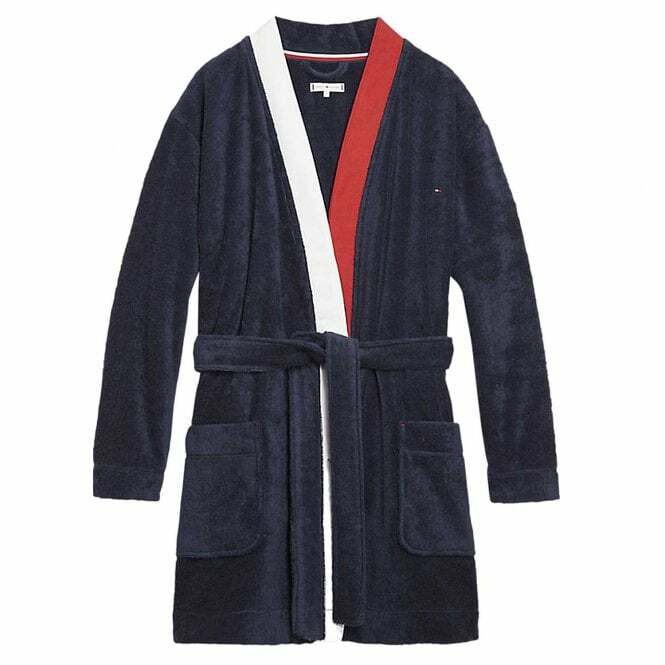 In our Tommy Hilfiger Womens Sleepwear range we have the Tommy Hilfiger Pure Cotton Bathrobe. Wrap up in warmth and comfort with this bathrobe, made from soft pure cotton towelling and featuring a self-tie fastening. This Navy Blazer Tommy Hilfiger Womens Pure Cotton Bathrobe is available in multiple sizes, ranging from X-Small to Large.